Our Annual Fund reflects Jarrow’s unique and multi-dimensional community of students, parents, family members, staff, alumni, and friends. Just as the separate buildings on Jarrow’s campus are connected by ideology and love, we are certain our connections to one another enrich and elevate Jarrow’s potential as a force for peace and goodness in our incredible and ever-changing world. Your donation will support Jarrow’s vision and commitment to Montessori’s vision of Education for Peace. How does your gift benefit children? 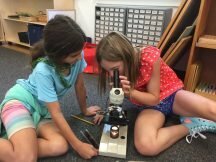 Every dollar raised for the Annual Fund goes directly to support Jarrow’s operating budget; our exceptionally talented teachers, small class size, beautiful campus, and outstanding Montessori program and materials. Annual Fund dollars also support the treasured extensions to our curriculum with Music, Arts, Spanish, Environmental/Outdoor Education, Movement, and Sports. Each gift is used within this fiscal year, so you’ll see the benefits and the power of your dollars at work, right away. Annual Fund participation supports and affirms Jarrow’s future and our long-term sustainability. As you know, Jarrow is Colorado’s first Montessori school, operating since 1964. As a school community, we meet our goals and continue to aspire toward new and deeper dimensions of Dr. Montessori’s vision of Education for Life. Providing your child with a Montessori education is an incredible gift that builds upon itself over the years into adulthood. 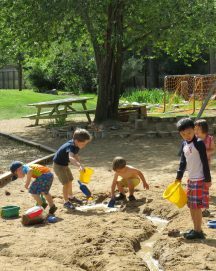 In Montessori, like nowhere else, students gain skills such as collaboration and the ability to work effectively with others. They are thoughtful in their decision-making, innovative, and through daily practices of respect, gain foundational tools to problem solve with the end goal of finding a peaceful resolution. These are values practiced each and every day in Montessori. Our graduates go into the world embracing their responsibilities as global citizens and explore ways to make contributions that have a positive impact beyond themselves. At Jarrow, we maintain an intentional gap between the cost of tuition and the actual cost of educating each student. This allows us to offer moderate tuitions AND provide highest quality Montessori education. Your gift will directly support our beautiful learning environments, special programs, faculty development, and tuition assistance. Through the years, we have been proud to count alumni, trustees, parents, family members, grandparents, extended family members, and the entire staff of Jarrow as the heartbeat of the Jarrow Annual Fund’s success. We ask that you join us this year to help us surpass our fundraising goals and exceed our dreams. All gifts to the Jarrow Annual Fund are 100% tax-deductible. It is our sincere hope you will make a gift that is meaningful for your family, and that makes you feel great about supporting the school that we love. Our projected gap between education each child and our budget is approximately $750. The Annual Fund will kick off on October 1, 2018, and close on December 1, 2018. Our goal is to raise $100K before the end of this calendar year! Although our campaign kicks off in the fall, we accept donations on an ongoing basis, but to be credited in the fiscal year your donations should be given between August 1 and July 31st. To be credited towards a particular tax year, donations need to arrive by December 31st. You have the option of making your donation in monthly or quarterly installments or as a one-time gift. –Give using Venmo! Search: @Jarrow-donate or Courtney Laurell from there you can proceed with your donation. –Stop by the Admin office with a check or a pledge. There are a number of other ways to structure your gift to Jarrow. –Securities: A gift of stock or other securities not only benefits Jarrow but also can have significant tax advantages for you, as a donor. Contact Business Manager Marlena Carlson at marlena.carlson@jarrow.org or 303-443-0511 x114 for specific transfer instructions. –Matching gifts: Does your employer offer a matching gifts program? Contact your Human Resources department to determine matching gift availability and program terms. This is an effective way to increase the impact of your gift. –Pledge: Pledge any amount, and make monthly installments. ️ Remember that all donations to the Jarrow Montessori Annual Fund are fully tax-deductible. Also . . . Please be aware that through the Colorado Child Care Contribution Credit program, taxpayers that make a monetary contribution to promote child care in Colorado may claim an additional income tax credit!